Do you fulfill the 10 criteria required to join “Australians Against Islam”? From left: Bozo, Baz and Hammer. “Australians Against Islam” rely more on intellectual rigour than anything else. 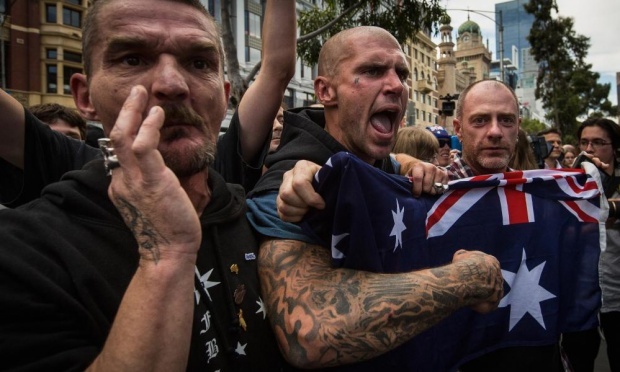 The group “Reclaim Australia” has now got its own splinter group, “Australians Against Islam.” These guys felt that “Reclaim Australia” was too soft on its anti-Muslim rhetoric. Ironically, it’s a little like how ISIS thought Al-Qaeda was a little too soft on its anti-infidel approach. This new group aims to put less emphasis on their imaginary reclaiming of Australia and more of a focus on purging Australia of the extremist Islamic fundamentalists lurking throughout its shadows. To join this group you are required to fulfill the following criteria…. You must believe over 40% of Australia is now Muslim, when in fact it’s 2%. 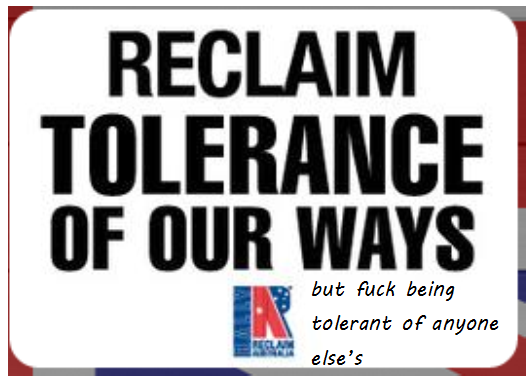 You must renounce Sharia law, even though you can’t pronounce it, spell it or even know what it actually is. You must boycott all halal furniture, chlorine and Play-Doh. You must think Pauline Hanson deserved to win Dancing with the Stars and the winner, Bec Cartwright, is a whore. You must not be able to tie your shoelaces. You must have an irrational fear of others that stems from your own sense of inadequacy and insecurity that you find easier to blame on a small and powerless minority. You must have no higher of an IQ score than 80 and not know what IQ even stands for. You must believe you are a “real Australian,” even though you are white and your descendents were from Europe, arriving in Australia less than 150 years ago. You must think Hitler isn’t as bad as people say he is. You prefer books with pictures.